What makes an event an epidemic? What turns a product into a trend? What makes a message stick in someone’s mind? 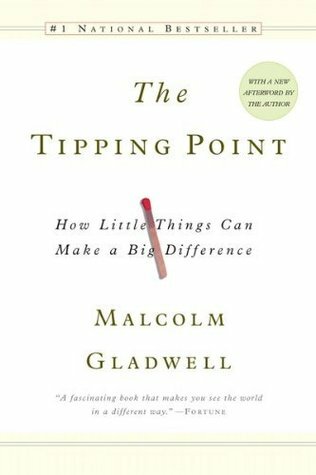 These are the questions explored in The Tipping Point by Malcolm Gladwell. The factors that cause trends to become increasingly popular have been considered unknown and mysterious by most, but not Gladwell. After analyzing several case studies of major phenomena that gained popularity almost overnight, he summarizes their common denominators in a simple, easy-to-follow manner. We have compiled his findings into actionable items that you can follow to enhance your success. Whether you are looking to market your product or service, or get a message across to the public, these actions will help you increase your audience and increase the chances of your message sticking in their minds. Utilize the stickiness factor when marketing a product or service. Start a word-of-mouth epidemic by targeting Connectors. Utilize Mavens in your marketing strategies. Ensure the time and place are right for your product or service. Keep your division under 150 people. Think about where and by whom your message will be delivered.